When I think of reading internationally I often harken back to my World Lit class with Bronte, Flaubert, and Dostoyevsky. But the truth is, self-publishing has made it easier than ever to read contemporary authors from around the world. 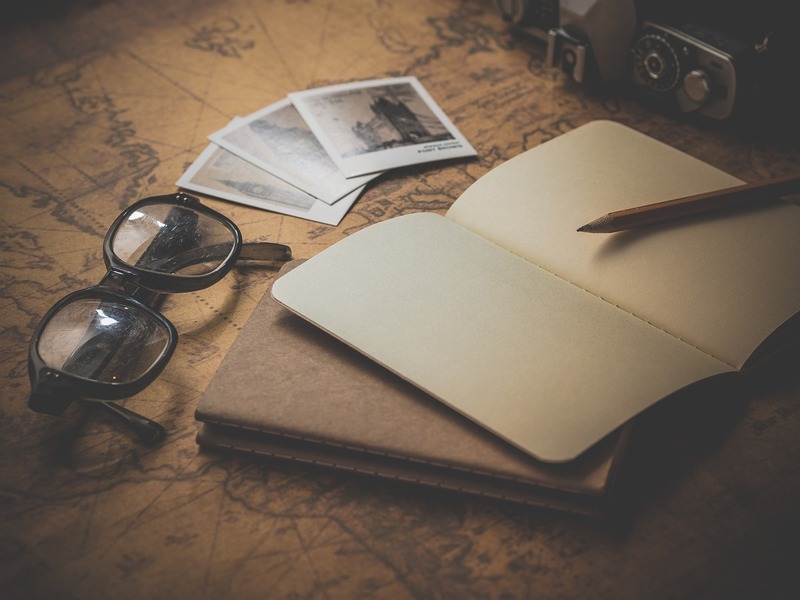 With self-publishing (and to some extent indie/small presses) there are not foreign rights that need to be negotiated to make a novel available worldwide. And if English isn't the author's language, they can hire a translator much like they hire an editor or formatter. I like reading international authors because of the different world views that people from other countries have. I will never visit every country or even a small percentage of the world and reading, at least, gives me a glimpse into how other people think about justice, freedom, love, family, etc. Susan and Alison have already highlighted some international authors this month for the A to Z Challenge. Susan shared a favorite Irish writer and Alison discussed her love of Japanese writers. If you enjoy crime fiction, then you should check out Irish author Tana French. For mysteries and thrillers, try South African author Lisa Gordon. For romance readers, I highly recommend Canadian author Sylvain Reynard and his Gabriel's Inferno series. He also has a supernatural series. While I don't personally read horror or books about zombies, but I've heard great things about Australian author Rachel Tsoumbakos. I loved Jennifer Worth's memoirs on being a midwife in 1950s east-end London. If you are a fan of the show Call the Midwife I highly recommend you pick up the book by the same name. I read the British version of middle grades detective novel Knightly & Son by UK author Rohan Gavin and loved it. One of my favorite RomCom authors is UK author Michele Gorman. Speaking of romantic comedies and Michele Gorman, I just finished up her newest novel which she published under the pen name Lilly Bartlett. I was provided a free copy in exchange for an honest review. 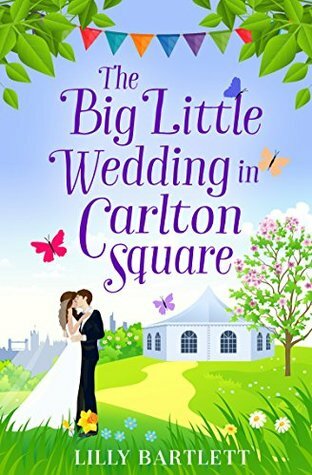 The Big Little Wedding in Carlton Square is a cute read. It was a bit predictable in places, but I tend to think most romcoms are predictable (that's part of their charm). It starts off with east London resident Emma being proposed to by west London boyfriend. (For those who don't know, west London is posh, and east London is economical). While it doesn't appear that Daniel has a trust fund, he hasn't quite figured out what living on a budget really means. This leaves Emma trying to figure out how to throw a fancy wedding on half a shoestring budget as her father is too proud to accept Daniel's families offer of paying for the wedding. Needless to say, hilarity ensues as Emma juggle's her future mother-in-law's suggestions of chocolate fountains, butterfly releases, engraved silver picture frames for all the guests (which is much more than the 60 on Emma's guest list) not to mention fancy invitations (with gifts) and fine linen napkins. Oh, and then there is excuses she comes up with as she goes behind her finance and cancels the limo drivers and other "helpful" arrangements. But along the way, we learn what it really means to be family and a part of a community. I think by the end of the novel everyone will want to live in a place like east London (I know I do). I really loved all the characters, even the posh ones, and I hope we get to see more of them in future novels. If you want to try some translated literature, I recommend checking out the titles from Le French Book, a publisher who translates bestselling French mysteries, thrillers, and crime fiction novels. Recently MK French reviewed a women's fiction novel by an author from Slovenia and translated by a UK resident. A free copy of this book was provided in exchange for a fair review. Newly single after a long relationship ended, Matias spends his time trying to date other women in Ljubljana, Slovenia. He often complains of his difficulties with his best friends and follows their advice to date other women. Initially, he compares them all to Sara, but meeting up with Sara again lets him see that his memories of her don't quite live up to the reality. Matias often comes across as a misogynist, and even calls himself that on several occasions throughout the novel. At the same time, he can be very charming and uses his hurtful and sarcastic comments to hold others at length. This is a slice of life kind of novel and is an interesting look at the twentysomething crowd in Slovenia. Matias has a series of interesting dates, some of which end in disaster, and there is often a lot of drinking involved. I don't know if that's common for the age group in Slovenia, or if that is really the only place for young adults to congregate and talk to each other. As in the United States, that much drunkenness also leads to a lot of stupid decisions. It makes for interesting reading, but also a little secondhand embarrassment, especially surrounding the sequence with the wedding that Matias will photograph. Still, he's content at the close of the book, and it was nice to see him really grow over the course of the book. Who are some of your favorite international authors? I hope you find a new author to love. I'm quite fond of a British indie author named Maria Savva. She does both short and full length literary fiction, and it's brilliant. Great subject for today's challenge! I will have to check her out. Thanks for the recommendation. These look like good books--thanks for reviewing them. I'm amazed how many writers picked xenophobic for X. Way too politically-charged for me! No politics here. I just thought it was a cute way of getting to talk about some of my favorite international authors. Thanks for the suggestions for mystery and crime. Re Call the Midwife, I liked the books wayyy better than the TV series! As for my favourite "international" author, I like MC Beaton (British mystery - Agatha Raisin series). My favourite national author is hard to choose - Canada has many excellent authors - try Thomas King (The Inconvenient Indian), Timothy Findley (literary), Terry Fallis (humour), Richard Wagamese (Native American themes). Maybe not a good idea to get me started, LOL! Oh! I can't believe I left MC Beaton off the list. I have one of her books that I just bought sitting on my coffee table right now and I think I have a hold on one of her titles in audiobook (I should probably make sure they aren't the same tile). Thanks for the list of Canadian authors to read. I must stop back and check out this book list when A to Z is over...and I have time to read again :-) I am partial to older authors -- Emile Zola, Jorge Amado, Stendhal -- particularly those who bring historical and political context from their eras to their work. But you've pointed out some new ones I should try. I seem to have gone from World Lit classics to present day authors and don't have too many in between. I might have to check out your suggestions. I've read a few of the French titles from Le French Book and enjoyed them. I enjoy foreign films, and yet haven't given much thought to reading books by international authors! Go figure! I took note of some of your recommendations so I can check them out. Thanks! I'm the opposite of you. I haven't watched many foreign films unless they have been remade into American movies. I do watch a good bit of British television thanks to PBS. I read a lot of British and Irish authors - have been a bit reluctant to read translated books but don't know why. Some of my favorites are Tana French, Cathy Kelly, Jenny Colgan, Lisa Jewell and JoJo Moyes just to name a few. I've read a few books from Le French Book that have been pretty good. I read a translation of Russian short stories, but I don't think I like Russian literature. I was reading the English translated book 100 years of Solitude by Gabriel Garcia Marquez. Then I talked to someone who read it and the original in Spanish. They said how much better the original was. So once A-Z is done, I will read the Spanish book, Cien Anos de Soledad. It's sitting on the bookshelf waiting for me. Thanks for your list Donna - I will check some of them out!